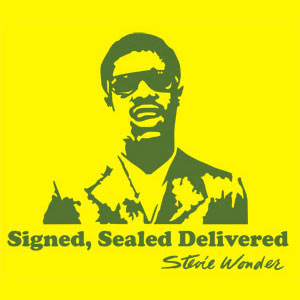 Signed Sealed Delivered – (Stevie Wonder) custom parts arranged for SSATB choir or Male Solo and 5441 big band. Instrumental parts include 5 saxes, 4 trumpets, 4 trombones, one piano/rhythm part for all rhythm. This is a big band accompaniment vocal version with the horn parts being similar to the original parts. Be sure to download a sample of the score and sample of the audio. Note that the audio only has the piano, horn parts and voice notes as this is from the midi of the score. Other horn group arrangements are available.